March is National Athletic Training Month in the state of Pennsylvania and across the country. 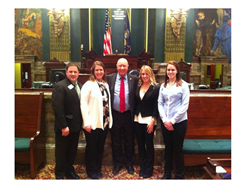 As such, the Pennsylvania Athletic Trainers’ Society (PATS) is once again organizing its annual “Hike 2 Harrisburg” trip to the state’s capitol to introduce the profession of athletic trainers to Pennsylvania’s lawmakers on March 21, 2016. March is National Athletic Training Month a time to recognize how athletic trainers provide a safer approach to work, life and sport. 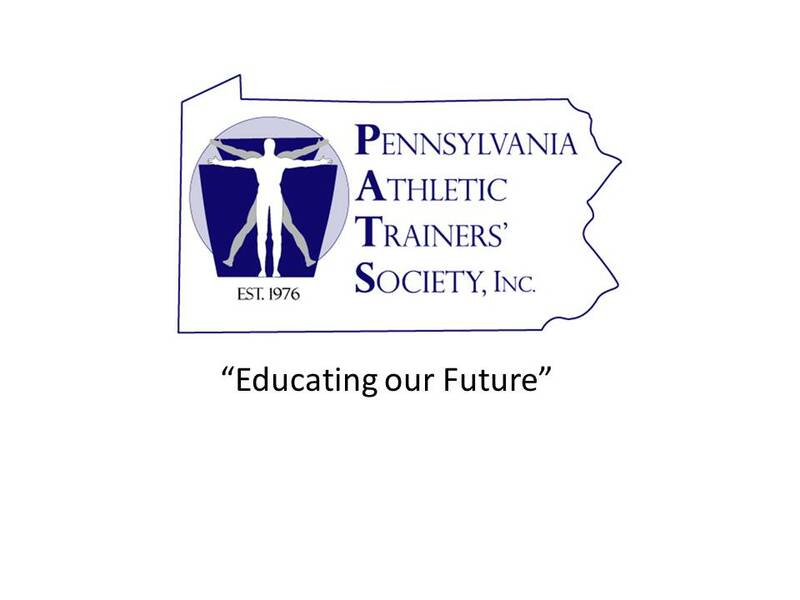 Since its inception in 1975, PATS has worked to serve its members while promoting and advocating for the advancement of the field of Athletic Training in Pennsylvania. PATS works to promote the profession through both public relations and governmental relations efforts. As a result of the societies work legislation which greatly affects the profession of Athletic Training has been past on multiple occasions. The most significant bill to date has been the licensure bill for athletic trainers. Other pieces of legislation, which have further advanced our efforts to protect the young athletes of PA, are the Safety in Youth Sports Act and Sudden Cardiac Arrest Bill. Efforts in 2016 include letters of support for AED Awareness Week, Banning Restrictive Covenants, and Brain Injury Awareness Month. A large part of the past legislative success for athletic trainers in Pennsylvania is due to The Pennsylvania Athletic Trainers’ Society, Inc. (PATS) annual “Hike 2 Harrisburg”. PATS will bring members to Harrisburg on Monday, March 21st to educate legislators. This year the “Hike 2 Harrisburg” is once again targeting freshmen legislators to introduce them to the PATS and the profession of athletic training. The group of athletic trainers (ATs) from PATS will also be celebrating National Athletic Training Month, The theme of National Athletic Training Month 2016 is "A Safer Approach to Work, Life and Sport." Among many other activities throughout the month, PATS will have exhibits on display in the East Wing Rotunda from 9:00-1:30 during the H2H and all are welcome to view these exhibits. In the month of February PATS launched a commercial call that gives all state members a chance to be on television in the form of 30 second commercials that will be aired on the Pennsylvania Cable Network (PCN) in March of this year. The requirements for a submitted video included a brief description of athletic trainers, a focus on athletic trainers being experts in the evaluation and management of concussions, PATS commitment to concussion education, and a vocus on National Athletic Trainers Month (NATM). The PATS Executive Board will evaluate and determine the winners who will receive airtime throughout March on PCN. Another initiative for PATS during NATM is the apparel campaign. This is a Facebook/Twitter contest where any PATS member can post a picture wearing PATS apparel to either the PATS Facebook page or Twitter account with the tag #PATSapparel. Members are encouraged to wear items for recent sales, or even dust off some vintage gear. All submissions will be entered into a drawing for a $25 gift card. Lastly, PATS has undertaken an iHeart radio campaign that will run from February through June of 2016. The PSAs can be heard on 20 different radios stations that stretch across the entire state for an impressive airing of 1885 PSAs at the end of June. One of the radio broadcasts will be 15 seconds long and promote the expertise athletic trainers can offer to athletes. This PSA will promote athletic trainers’ expertise in the evaluation and management of concussions. The PSAs will also point those listening in the direction of the gopats.org website to obtain more information. Another PSA, which is 30 seconds long, will offer tips specifically from athletic trainers on how to avoid injury and illness in order to promote a safer approach to work, life, and sport. These tips include injury education, concussion awareness, and how athletic trainers can specifically help to promote this healthy and safe approach. For more information regarding this topic or to schedule an interview with PATS President John Moyer LAT, ATC, please contact Linda Mazzoli MS, LAT, ATC, PATS Executive Director.